Walls in this area of the building were re-configured by Susannah to provide a welcoming entrance to the Sunday School (shown on RIGHT) and the Children’s Rooms (LEFT). 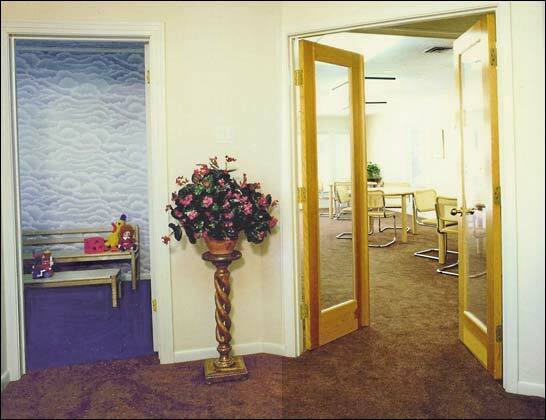 Both spaces were completely re-designed, with new wallcoverings, carpet, and furnishings. 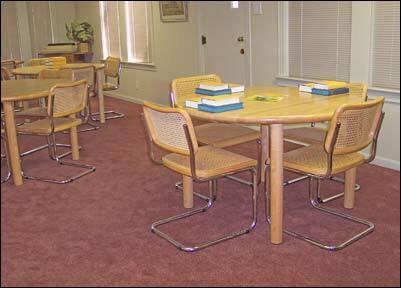 Solid wood tables in the SUNDAY SCHOOL create an atmosphere of quality and permanence. This room can also be used for adult workshops. 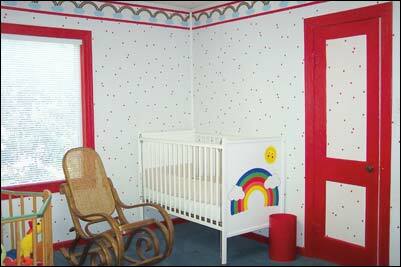 A bright and cheery space welcomes the very young. 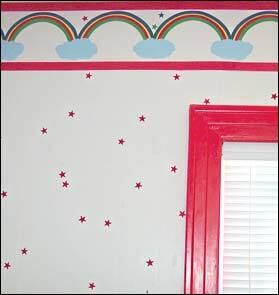 The closet is filled with toys and books.